"Hey Mid Michigan this is Frank Kirby!" the voice of The Auto Group and quality automobiles for over 30 years. 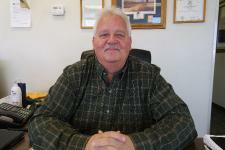 Frank has become Mid Michigan's NUMBER ONE preowned vehicle dealer. He is always looking for a way to provide our customers with Super Wheels and Super Deals! As the backbone of the company Frank demands Honesty, Integrity and Superior Customer Service! From the Showroom to Service you will find Frank's heavy hand as a motivational tool to best serve the customers' needs. As an icon in the Mid Michigan area for his "Heart of Gold" attitude, supporting the local community with his frequent charitable donations, Frank has developed and nurtured many ongoing alliances in the community. In his spare time Frank is a dedicated Husband, Father, Grand Father and Friend. Although his spare time is limited, Frank still occasionally does enjoy a round or two of golf. So for a "SUPERIOR" car buying experience come on down to The Auto Group and say HI to Frank! Brandon "The Local Legend" Ley, has been in the Automobile business since graduation from Sacred Heart Academy. He is a powerhouse in the business and strives to put his customers in the vehicle of their dreams! Brandon works hard to ensure all of our customers are happy with their purchase and goes out of his way to get the job done! A local guy, born and raised in the community, with heart of an Angel and an arm of steel. He feels supporting the community is priority number one. Brandon spends his spare time having fun with his three wonderful boys. Tiffani has been a Finance Manager with Auto Group Leasing for over 8 years and has 13 years of Financing experience. 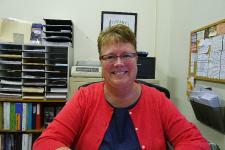 She really loves working with customers and building strong relationships to get them the best financing options! Tiffani lives in Alma with her husband Jeff Shook. 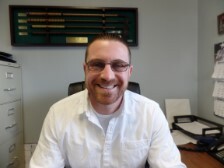 Jay has over 27 years in the Automobile Industry and strives to solve every customer's transportation needs! Jay works hard to put every customer in the auto of their dreams while meeting or exceeding their budget needs. Currently Jay is involved in a hair loss program to help reduce wind resistance while riding his many Harley's! Mark is a 25 year veteran in the Automobile Industry! Mark enjoys interacting with customers and works hard to really understand their wants and needs, Achieving and then exceeding customer expectations is his focus! 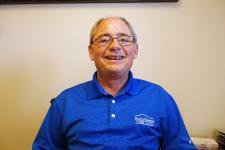 With over 30 years in the Automobile Industry Bruce goes above and beyond to help each and every customers needs! Bruce is a go getter and a goal setter to better serve your car buying experience! In his spare time Bruce enjoy's the great outdoors including hunting, fishing and spending quality time with his 6 AWESOME grand kids. Go getum' Bruce! Bill is excited about being apart of the Auto Group Team! On his off time he enjoys being outdoors, primarily hunting and fishing. Bill is looking forward to meeting the people from the community and get them into a vehicle that not only meets their needs, but exceeds their expectations.